Nursing home assault in Maryland in a serious problem. It proves to be quite difficult to stop and prevent abuse situations, especially when a resident feels secluded or afraid and doesn’t report anything to their family or the supervisors. This type of situations can be recognized by the caretakers and family members by observing abuse signs. In addition to this, with the help of a personal injury lawyer from Maryland, you can stop the violence and bring the person responsible to justice. In the more severe cases of physical assault, the actions are considered assault and battery (criminal offenses). Indifferent if the victim was assaulted by a visiting family member, caregiver, or another resident, the people close to them can get the protection needed against the abuser. What are assault and battery? Assault and battery are criminal offenses. Unfortunately, many people don’t know what these crimes legally mean. Assault is the act of making someone fear that you will cause harm to them (an intentional act). In this case, the victim does not have to speak about assault. Even threatening them verbally can be considered an assault and it is against the nursing home abuse regulations in MD. With the help of an Annapolis injury lawyer, you can prove that you or your loved one have been the victims of an assault. Battery is another intentional act that is stipulated in the nursing home abuse regulation in MD and, in this case, the victim suffers actual physical harm. Unlike assault, in battery, the aggressor doesn’t have to warn the victim or make them fearful of hurting them. If a nursing home caretaker surprises a resident pushing another one from behind, then this act is considered battery. Your Annapolis injury attorney will explain to you that if someone threatens another person and also physically harms them, then assault and battery will occur simultaneously. If you were the victim of a nursing home assault in Maryland, you should contact an Annapolis injury attorney to support you with your claim. Your case could become a nursing home abuse lawsuit in Maryland and, in the end, you could receive compensation for your suffering. 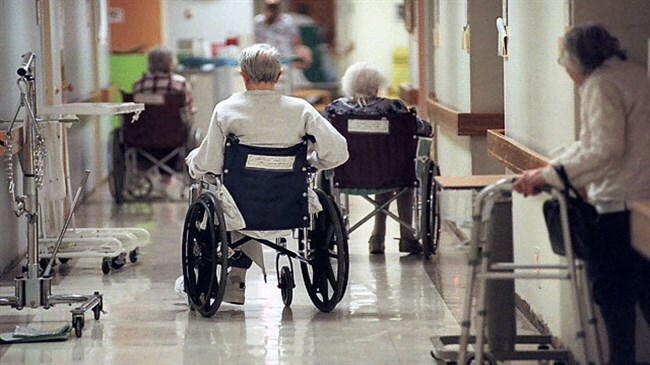 It is not an easy task to find evidence of assault and battery in nursing homes. In general, the people committing the abuse prefer targets that have problems talking, suffer from Alzheimer’s or dementia, or have few visitors. When you visit a nursing home patient, you must keep an eye out for any warning signs. If for example, the nursing staff delays you from visiting a patient or if they do not want to leave you alone with the patient, that might suggest they committed some type of physical abuse. You should also examine the resident yourself and search for any physical assault and battery signs. If you find any signs of assault you should contact your Annapolis injury lawyer and bring the culprit to justice. Your attorney will help you gather the evidence needed for a nursing home abuse lawsuit in Annapolis and punish the aggressor severely. If you or your loved one have been the victims of nursing home assault, you can contact the best personal injury lawyer from Maryland at (443) 569-3950 or by email: [email protected] for a free consultation of your case.